Chalmers University of Technology is pleased to invite applicants to apply for a new opening PhD position in electromagnetism. The funds for this fellowship are available for five years. Applications are welcome before March 15, 2019. The Department of Physics at Chalmersinvites applications for a full-time PhD position on applying machine learning for computational physics with applications to nanophotonics. 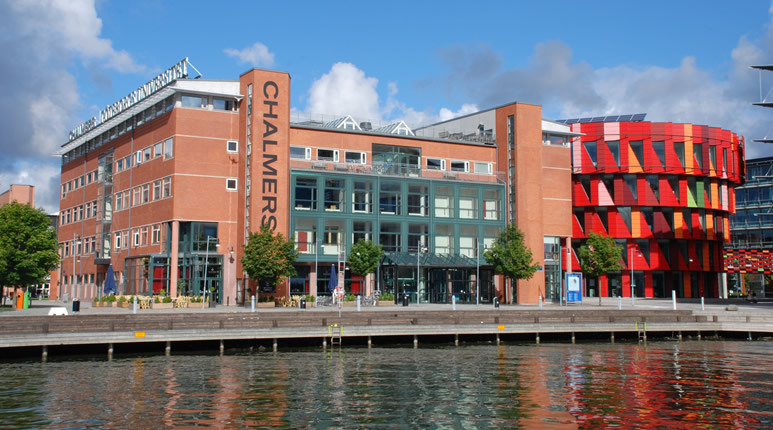 Chalmers University of Technology is a leading research institution in nanoscience and hosts one of Europe's largest and best equipped clean rooms dedicated to nanofabrication, as well as state-of-the-art high-performance computing equipment. At the Physics department, we address a wide range of theoretical, computational, and experimental challenges, from fundamental physics research through the development of new materials such as graphene to industrial projects generating new inventions. You will be embedded in the condensed matter theory division, a vibrant research group tackling questions ranging from nanomechanics to optics and quantum physics. You will develop computer simulations involving techniques from machine learning in order to solve problems in physics and optics. Such algorithms will in particular be focused on inverse design. Your major responsibility as a PhD student is to pursue your own doctoral studies. This includes developing scientific concepts and communicating research results both verbally and in writing. In addition to the research project, you will also take graduate courses within the graduate school of physics. The majority of your working time will be devoted to your own research and competence development, but you may also be involved in teaching and other departmental duties. A PhD position is a full-time, time-limited research position and an opportunity to qualify for further research positions within academia or industry. We offer a competitive salary, excellent working conditions, and access to world-class facilities and infrastructure. The position is limited to a maximum of five years. The applicant should have, or expect to soon obtain, a M.Sc. degree in physics, electrical engineering, machine learning, or a related subject area. Some background in electromagnetism or optics is advantageous. The applicant should be interested in both physics and machine learning. You will be expected to take initiative, work independently when needed, demonstrate creativity, and take responsibility for your work. You will also need to be able to disseminate results and knowledge within the scientific community and to a broader public. To that end, the applicant should have good command of both spoken and written English. The application should be marked with Ref 20190089 and written in English. 1-2 pages where you introduce yourself and present your qualifications and future goals. Attested diplomas and transcripts of education, grades, and other certificates, e.g., TOEFL test results. Please note that in addition to the documents above, two recommendation letters should be sent directly toProf. Philippe Tassin. Recommendation letters uploaded by the candidate will not be accepted. Please use the button at the foot of the page to reach the application form. Submit only PDF files.